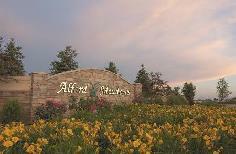 Alford Meadows Crescendo Village, located in prestigious Alford Meadows Subdivision, Loveland Colorado just minutes north of Eisenhower Blvd. on Taft Avenue and 50th Street. Ten minutes to Harmony Road in Fort Collins and five minutes to North Lake and Benson Parks. Alford Meadows is a new housing community with large lots, wetlands areas and open space that features play areas and a community pool. The larger lots feature semi custom homes with three car garages. Many of the lots are garden level or walkouts with incredible views of Long's Peak and Mount Meeker. Moore Farm in Frederick, Colorado is a new family community with lots of wide open space, mountain views and activities for the whole family. The kids will love the playground and heated swimming pool. The Bella Rosa golf course and Milavec Lake are right next door. Milavec Lake offers biking and hiking trails and fishing. Frederick is located in Weld County providing the small town feeling with the amenities of the big city only minutes away.